GhostBed vs Tuft & Needle: A 2019 Comparison - Which One is Better? Thinking about investing in either the GhostBed or Tuft & Needle mattress? Need all the facts before you make a choice? If so, this article will be helpful for you. Overall, we like the Tuft & Needle mattress better than the GhostBed. Tuft & Needle has been around longer (since 2012) and has a proven, positive track record with their customers. When it comes to price, the Tuft & Needle mattress is also the clear winner, although lower price mattresses don’t tend to last as long. If you’re seeking a medium-firm mattress that’s firmer than average and provides a responsive feel, you’ll likely appreciate the Tuft & Needle bed. The GhostBed and Tuft & Needle mattress are two budget-friendly foam mattresses with similar firmness levels. Tuft & Needle has been around since 2012, while GhostBed is a bit newer and had their launch in 2015. Each mattress is designed to be comfortable for all sleep positions and both excel in regards to motion absorption, but there are some key differences between the beds, too. Selecting the right mattress will improve your sleep health and energy levels in every way, so this decision shouldn’t be taken lightly. This article will explore similarities and distinctions between the GhostBed and Tuft & Needle mattress. Once you have all the necessary information, you can make an informed purchase. If you’re in a hurry and just want a quick rundown on either bed, here a few good reasons to pick either the GhostBed or Tuft & Needle mattress. You struggle with sleeping hot: If you’re one of the unlucky people who often wake up sweaty because you get too hot in your sleep, you’ll need a mattress with cooling technology. The GhostBed uses aerated latex foam to help air move through the mattress and prevent heat buildup. It also has a layer of gel-infused foam to help with heat regulation and keep you resting at a neutral sleep temperature. You move around a lot in your sleep: The GhostBed is medium-firm, the firmness level that suits the average sleeper and the most sleep positions. 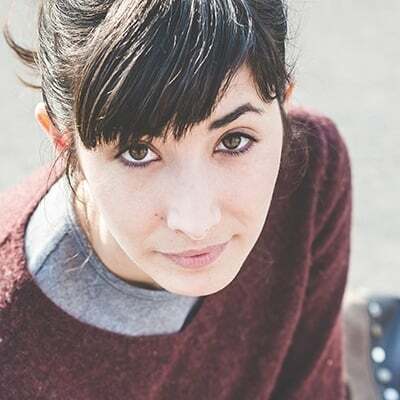 A medium-firm mattress is soft enough to feel comfortable, but firm enough to keep your spine in alignment and your hips elevated enough for comfort. The GhostBed also has a slight bounce due to the latex comfort layer, which makes it easy to switch positions while you sleep. You’re craving pressure relief: There are many reasons you may need pressure relief including a stressful job or standing on your feet all day. The memory foam and latex comfort layer in the GhostBed combine to create a comfortable, yet supportive, sinking feeling. This mattress could be the solution you’ve been seeking as far as tension and pain relief goes. You’re on a budget: Foam beds were once considered very luxurious and had big price tags to match. Since then, the competitive market has driven prices down and companies like Tuft & Needle have found ways to offer great beds at a very approachable cost. A Queen-size original Tuft & Needle bed is currently only $595. You want a straightforward design: Many mattress companies use layer upon layer to create their beds. But if you’re the type who prefers simplicity in the products you choose, you’ll probably appreciate the Tuft & Needle mattress. This model uses just two layers in their straightforward design. You’re a back or combination sleeper: The medium-firm design of the Tuft & Needle mattress makes it suitable for people who move around in their sleep. Back sleepers should also find this bed agreeable since it’s a 7 out of 10 in terms of firmness. Back sleepers need to make sure that their pelvis stays in alignment with their spine as they rest, so a bed that’s a bit firmer than average is a good pick. Let’s take a closer look at each of these beds to understand what you stand to gain by choosing one over the other. The GhostBed has a soft cover made with a smooth, stretchy polyester/viscose blend fabric. Beneath that is a layer of aerated latex foam that promotes airflow and prevents heat from collecting in the bed. This layer has a springy feel that makes it easy to switch sleep positions without feeling stuck. Under the latex foam layer is a proprietary memory foam layer formulated with gel to keep the bed cool. The core of the GhostBed is a high-density foam that’s firm enough to spread your body weight evenly across the mattress for proper support. The Tuft & Needle mattress has a simple construction with two foam layers built to fit a wide range of sleepers. The cover of the mattress is a thin polyester blend fabric that wicks away moisture and encourages airflow to help you sleep cool. Beneath the cover is the comfort layer of Tuft & Needle’s proprietary foam. This layer creates some contouring but also has a responsive and bouncy structure that won’t make you feel stuck in the bed. The base layer provides the mattress with its shape, durability, and structure. The GhostBed is a 6.5 out of 10 in terms of firmness. It’s firm enough to provide spinal alignment, but soft enough to offer pressure relief. The dense foam base provides enough support to keep your body weight evenly distributed, while the top layer of the mattress provides a comfortable, plush feel. The top layer of the mattress responds quickly to pressure. But when you press beneath the top layer, you’ll feel the memory foam layer underneath contour to your body. The Tuft & Needle mattress is slightly firmer than the GhostBed, with a 7 out of 10 firmness level. The top layer feels responsive, yet soft enough to create some sinkage for pressure relief. The firm base layer is easy to feel through the comfort layer and provides sturdy, even support for your body. The Tuft & Needle bed should work well for stomach sleepers since it’s firm enough to prevent their hips from sinking too far into the mattress. When it comes to overall support, the Tuft & Needle bed wins because it’s slightly firmer than the GhostBed and can comfortably support people who are carrying some extra weight. Motion transfer refers to how well a bed absorbs vibrations from movement. If you share your bed with a partner or have a pet that likes to jump into your bed at night, this is a must-have feature. The GhostBed absorbs motion decently well, since it’s an all-foam bed. It does use a latex foam layer to create a responsive feel, though, which means it’s not as good at isolating motion as a solid memory foam mattress would be. If motion transfer is a huge issue for you due to being a light sleeper, you may want to check out a memory foam bed instead. The Tuft & Needle mattress is a bit better at absorbing motion than the GhostBed. But since the Tuft & Needle mattress also has a more responsive feel than a pure memory foam mattress, it won’t be top of the line when it comes to absorbing motion. Overall, either of these beds will work well enough for the average couple, but especially light sleepers may want to keep looking. When it comes to sinkage, the GhostBed only allows you to sink in minimally due to the responsive latex layer in the bed. The Tuft & Needle mattress contours to your body as you lie on it, but there’s also minimal sinkage because of the responsive foam used in the bed. Although both of these beds are foam beds, both use springy layers and neither will create a deep hug like an all memory foam mattress would. Sleeping too hot is a common problem that’s not only uncomfortable but can seriously disrupt sleep patterns. Foam beds are known for retaining heat more than other mattresses, but does that apply to the GhostBed or Tuft & Needle mattress? The GhostBed uses aerated latex foam in the comfort layer, which promotes airflow and keeps the mattress at a lower temperature. It also has a gel-infused foam layer that pulls heat from the body to keep you sleeping cool. Users report that the GhostBed sleeps fairly cool and regulates temperature well for a foam mattress. The Tuft & Needle mattress may sleep a bit hotter than the GhostBed and some customers report getting uncomfortably warm on the bed at night. The top layer of the mattress is infused with graphite to help disperse heat, but if you habitually struggle with hot sleeping, it may not be enough. The GhostBed should sleep cooler than the Tuft & Needle mattress, according to user reports. While the average sleeper shouldn’t find either the GhostBed or Tuft & Needle mattress too hot, people who habitually struggle with overheating in their sleep may want to specifically select a mattress for hot sleepers. Both the GhostBed and Tuft & Needle bed are medium-firm, but also slightly firmer than average. Again, this type of mattress is a good starting point for most people since it comfortably suits all sleep positions. If you’re of average or slightly above average weight, this feel and firmness level should adequately support you. Lightweight sleepers, on the other hand, may experience the GhostBed and Tuft & Needle mattress as too firm. Both of these options are suitable for combination sleepers or those who sleep on their back or stomach at night. Keep in mind that the Tuft & Needle mattress is slightly firmer than the GhostBed, so it will likely support heavier sleepers better, though still might not be firm enough, depending on your size. If you’re over 250 pounds, you might want to select a mattress that is specifically designed to support heavier people. People who sleep exclusively on their side might want to choose a softer bed than either the GhostBed or Tuft & Needle mattress. In the side sleep position, your body weight is concentrated on a smaller surface area (the hips and shoulders), so a softer bed feels more comfortable and minimizes pressure points. The sleep trial period of a mattress allows you to test the bed out for a certain amount of time and decide whether you want to keep or return it. The GhostBed has a 101-night sleep trial, but you must test the bed out for at least 30 days before you decide whether to keep it. If you don’t want to keep your GhostBed, you can return it and get your money back. The GhostBed also comes with a 20-year warranty. During the first 10 years, the company will repair or replace the bed if there are manufacturing defects. If you need to get it repaired or replaced, GhostBed will cover all shipping and handling fees. For the remaining 10 years of the warranty, GhostBed will cover repair costs for the bed, but you’ll have to pay shipping and handling. The Tuft & Needle mattress comes with a 100-night sleep trial and you can return the bed free of charge if you don’t want to keep it. 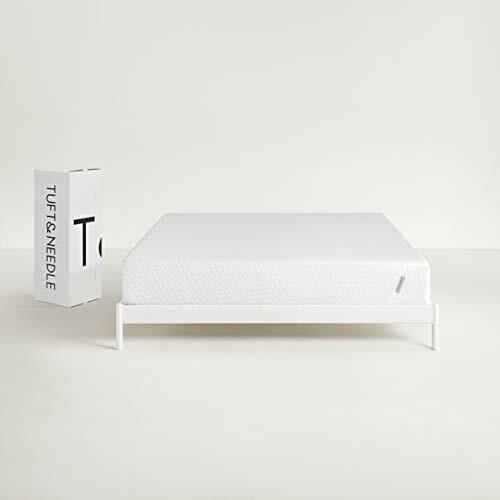 Tuft & Needle will either send a third party to pick the bed up or work with you to donate it to a charitable cause. The returned beds that don’t make it to charity are recycled, which is a plus for shoppers concerned with environmental sustainability. The Tuft & Needle bed comes with a 10-year warranty. Which mattress is the winner in the sleep trial and warranty department depends on your preferences. If you want your purchase protected for longer, the GhostBed may fit you better. 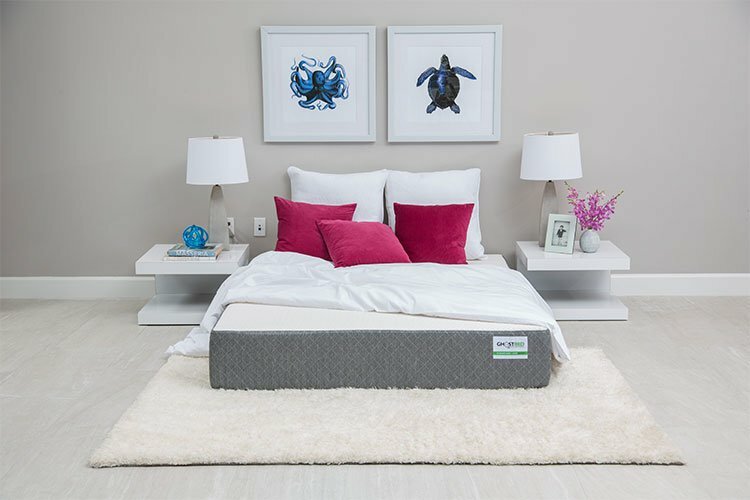 If eco-friendliness is a bigger deal to you, you may want to select the Tuft & Needle bed due to their business practices with recycling and donating. Overall, we like the Tuft & Needle mattress better than the GhostBed. Tuft & Needle has been around longer (since 2012) and has a proven, positive track record with their customers. While both the GhostBed and Tuft & Needle mattress offer decent motion isolation, while the Tuft & Needle mattress fares better in this category. Some GhostBed customers report off-gassing with their mattress, although this should fade within a few days. When it comes to price, the Tuft & Needle mattress is also the clear winner, although lower price mattresses don’t tend to last as long. If you’re seeking a medium-firm mattress that’s firmer than average and provides a responsive feel, you’ll likely appreciate the Tuft & Needle bed. PrevPreviousTherapedic Mattress Review 2019: Which Of Their Many Beds Is Best For Your Needs?